This month you'll have great views of a red planet and a red star. 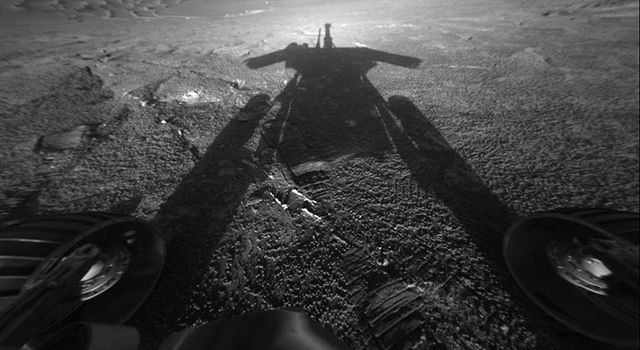 Plus, find out when the Mars rovers are facing Earth. This month we’ll be looking at a red planet and a red star. I’m Jane Houston Jones from NASA’s Jet Propulsion Laboratory in Pasadena, California. First we’ll look at Mira. Red stars are older stars and this one is really special because it’s variable. Every 11 months it goes through a cycle where it becomes much brighter for a few months and that brightening period starts in mid-November and lasts through about March. If you step outside and can see Orion, you’ll be able to see Mira also at that time. A couple of months ago, the Galaxy Evolution Explorer aimed its space telescope at Mira and took some pictures in the ultraviolet. They saw not only the star but a long, long tail that looked like a comet’s tail streaming behind the star. That tail is 20,000 times longer than our solar system is. On the other side of Orion you’ll find Mars this month. Last month Mars looked really nice, and this month it’ll look even bigger and brighter. Through just about any telescope, even a small, inexpensive telescope, you’ll be able to see markings such as Syrtis Major. If you look at Mars through a telescope on November 10, right along the equator, right in the middle of the planet, is where the rover Opportunity is. You’ll be able to see the area where Spirit is on November 30, a little south of the equator. The two rovers are on opposite sides of Mars so as the planet rotates, different parts of the planet are visible to those of us on Earth. You won’t actually be able to see the rovers but you’ll know the area of Mars where they are. Even though Mars will look really great this month, it’ll be even closer to Earth next month. 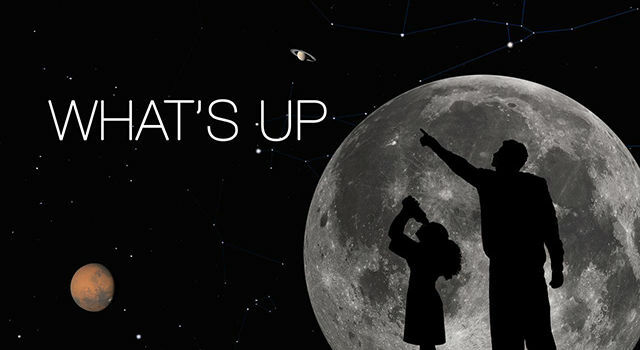 You can get this month’s star charts at education.jpl.nasa.gov. Just click on the What’s Up button. You can learn all about NASA's missions at www.nasa.gov .